Sag Harbor, NY - July 21, 2014 - Bay Street Theater is pleased to announce the launch of The Bay Street Shakespeare Initiative with the presentation of two outdoor staged readings of THE TEMPEST, starring Tony Award winner John Glover as Prospero, on August 16 and 17. This initiative is an ongoing program, which offers exciting performances and educational opportunities focusing on the work of William Shakespeare at Bay Street Theater. 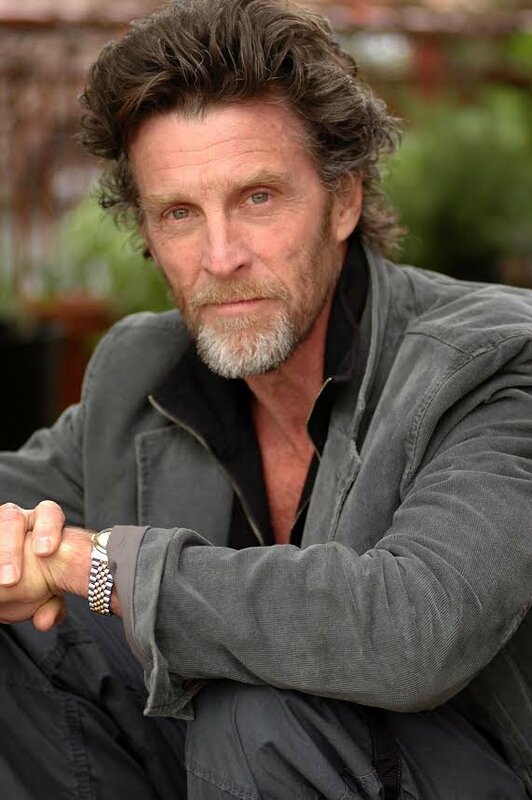 On Saturday, August 16, Bay Street will host a reading of The Tempest starring John Glover beginning at 7 pm at Mashashimuet Park in Sag Harbor. This reading is offered to the community at no charge. There will be seating in bleachers, but guests are invited to bring their own chairs, picnics and blankets to enjoy this special sunset production under the stars. The second performance will be a VIP benefit on Sunday, August 17 to be held at a waterfront estate on Shelter Island, New York. The event includes a reception with the cast, and the evening begins at 6:30 pm with cocktails followed by The Tempest reading at 7 pm. Contact Bay Street’s Development office at 631.725.0818 for details. The Bay Street Theater Shakespeare Initiative is offering supporters the opportunity to be a patron of the world of Shakespeare by sponsoring a character in The Tempest, as part of the Join the Company campaign and sponsors will be able to consult with the actors, and will receive complimentary passes to the VIP Benefit on August 17, as well as an opportunity to be photographed with the cast members playing their sponsored characters. Contact Bay Street’s Development office at 631.725.0818 for details. The Tempest is one of Shakespeare’s most beloved plays, full of magic, mystical creatures, and love. Set on a remote island, it is the story of Prospero, the usurped Duke of Milan, as he employs magic and wit to restore his daughter Miranda to her rightful place. John Glover (Prospero) received both a Tony and Obie Award and a Drama Desk nomination for Love! Valour! Compassion! He is currently featured Much Ado About Nothing at Shakespeare in the Park in New York City and recently played one of the Witches in Macbeth at Lincoln Center. At Roundabout he was in Waiting for Godot (Tony and Drama League Nominations), The Marriage of Bette and Boo, The Paris Letter (Drama Desk, Lucille Lortel, and Drama League Nominations), Give Me Your Answer Do. On Broadway he was in Death of a Salesman, The Royal family, The Drowsy Chaperone, Design For Living, Whodunnit, Frankenstein, The Importance of Being Earnest, Holiday, Chemin De Fer, The Visit, Don Juan, The Great God Brown (Drama Desk Award). Off-Broadway he was in Secrets of the Trade, Sorrows and Rejoicings, Oblivion Postponed, The Fairy Garden, Digby, A Scent of Flowers, Rebel Women, Criminal Minds, and the original House of Blue Leaves at the Truck Warehouse. Regional credits include The Lisbon Traviata (Kennedy Center, Helen Hayes Nomination), Secrets of the Trade (LA’s Black Dahlia Theatre, Ovation and LA Drama Critics Circle Awards); The Traveler (Mark Taper Forum, LA Drama Critics Circe Award); Some Men (Philadelphia Theatre Company, Barrymore Nomination), The Goat or Who is Sylvia? (Philadelphia Theatre Company, Barrymore Nomination); A Winters Tale (American Shakespeare Festival, Bayfield Award). On television, he appeared on Smallville from 2001 – 2011 playing Lionel Luthor, also An Early Frost, Nutcracker: Murder, Money, and Madness, Brimstone, Law and Order: Criminal Intent, The Blacklist, and Heroes. Glover has received five Emmy nominations and has appeared in over 35 films including Payback, Batman and Robin, Love! Valour! Compassion!, Gremlins II, Scrooged, The Chocolate War, Masquerade, 52 Pick-UP, White Nights, Melvin and Howard, Julia, and Annie Hall. THE MUSIC INDUSTRIES NEW "ORDER OF SOUND"
Subject: LongIsland.com - Your Name sent you Article details of "The Bay Street Shakespeare Initiative Presents Outdoor Readings of The Tempest August 16 & 17"